Concerning the optical performance I do not comment. Everything what has to be said has to be claimend / denied in the internet………..
As said, I decided for the Canon 400mm DO f4,0 in combination with a Canon 1D Mark IV because I am bird photographer who has specialized in photographing many species of birds for scientific purposes also in their behavior. For this purpose the Canon 400mm f4 DO is absolutely great. Flight shoots of big birds such as raptors or storks/herons are perfectly possible. 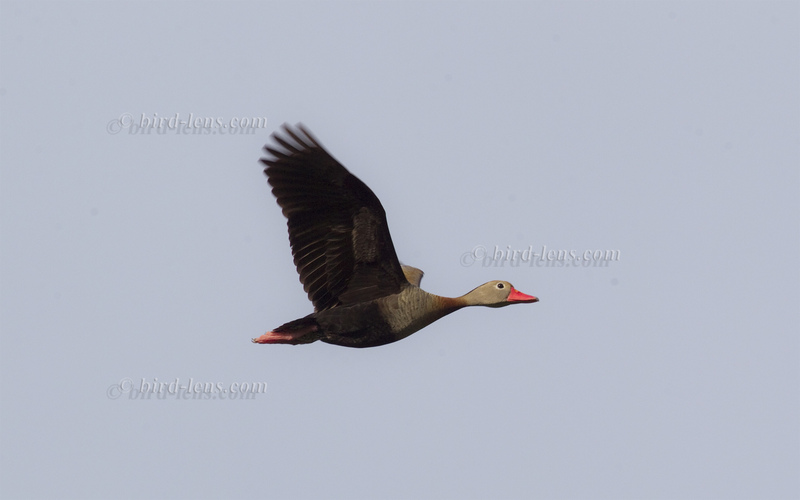 Here you can see some nice flight shots of bigger birds I shot during a trip to the Pantanal – mainly on the the Pousada Pouso Alegre south of Poconé in Mato Grosso/ Brazil – during December 2012/ January 2013. For bigger images please click on the link in the text “Full size is 1800 × 1125 pixels” below the image in the gallery. If the Autofocus matches the small passerine (song-)birds, flight shots of these birds are perfectly possible, too. It might take more time, patience and experience. Use Canon 400mm f4 DO in combination with a (semi-)professional body as e.g. the Canon 1D Mark IV. Predictive focusing (AI Servo) is your best bet to get a successful flight picture. Use Custom Function Settings (e.g. in the Canon 1D Mark IV: C.Fn III-6 Lens AF stop button function) to program the AF – button (the sealed buttons near the front of the lens). I normally use the AF-Function “One Shot”. With the above mentioned Custom setting it is possible to switch from One-Shot AF mode to AI Servo AF mode while you hold down the AF stop button of the lens. Do not use a Lens Coat as this will reduce the feeling in the fingertips when pushing the AF button. With Metering and Exposure compensation I do not care too much – at least I do not let a bird fly only to check exposure time. Many good flight shots flew by, while checking exposure or only thinking about it. Focus on the bird! If you have enough time to prepare for flight shots against a bright sky you will need positive exposure compensation of at least 1 stop. Normally in low-contrast lighting conditions evaluative metering will do the job. With a digital camera you are lucky to have a histogram to guide you. If you have time, take a couple of test-shots to get the metering approximately right before starting real flight. I never use the Auto Exposure Bracketing (AEB) because of time/ thinking. If you have time to take a couple of test-shots you do need AEB only in changing light conditions anyway. The histogram in Photoshop afterwards can save you a lot of time and thinking when compensations of the exposure are necessary. Shutter Speed is a different story. You will need quite a fast shutter speed to capture flying birds. For larger – especially soaring or gliding birds such as herons and raptors – I normally use 1/500 sec. This is often sufficient enough. If you have time, switch to play safe and choose 1/1000 sec.. Smaller, fast moving birds – mainly passerine birds – I photograph with at least 1/1000 sec. Martins and swifts need even faster shutter speed. I recommend 1/2000 sec. if possible. To get these shutter speeds you need to shoot at high ISO and/or low aperture. Low aperture is a bit limited with the Canon 400mm f4 DO. In so far I set my ISO to automatic mode and cap at 6.400 ISO in my Custom Settings. This is a trade-off between shutter speed and the noise which is accepted. Use a landmark as shooting spot. Thus when you see the birds coming towards you so you have enough time to actually track them. AI servo tracking sensitivity you can adjust. UseCustom Function Settings (e.g. in the Canon 1D Mark IV: C.Fn III-2 AI servo tracking sensitivity function) to program the speed the AF works on the subject. I use AI servo tracking sensitivity on level 2 (quite slow) to make it easier for the camera to keep tracking the target bird. Servo operation characteristics you can adjust, too. UseCustom Function Settings (e.g. in the Canon 1D Mark IV: C.Fn III-3 AI servo 1st/2nd image priority function) to program the AI Servo operation characteristics when the AF works on the subject. I use function 3 (Release/ Tracking priority) to make a first, fast shot and for the following shots I leave the camera time to focus-track the target. Because of the fast shutter speed during flight shots, Image Stabilization (IS) is not necessary. It is said, that some forms of IS can actually make it more difficult to track a moving target. I did not experience that with the Canon 1D Mark IV, but it might be better to set IS off. In so far a so-called old-fashioned IS is not a feature I care about. 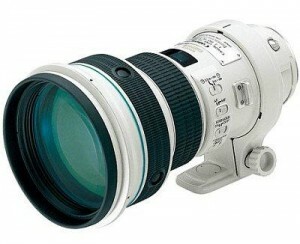 Refrain from using Canon 400mm DO f4 in combination with the Extender EF 1.4x II or III. There are too many restrictions in the AF-speed and AF-accuracy. As I said above, I am currently very happy with the Canon 400mm f4,0 DO although I own a EF 600/4.0 L IS II USM, too. Quite different jobs for the lenses. 400mm f4,0 DO for flight shots and as a tool when hiking, the 600/4.0 L when weight does not matter (from a car or from a tripod). Other images I shot exclusively with the 400 DO you find e.g. here! Hope all this helps you birders and photographers who are searching the “right” lens for their images. Ok, this is quite a long article, but I know that the little details make the difference. Feel free to contact me via contact form or via the comment function below. I am always interested in getting feedback from photographers and/or birders with the 400mm f4 DO or with other lenses in comparable situations. Your experiences you might want to communicate to a wider community via the comment function below. Thanks for your interesting point of view on the EF 4.0/400 DO. With the Lens Coat “as is” you’re absolutely right. As I like my lenses to be protected I wouldn’t want to leave my lenses “blank”. An easy and cheap to realize solution is to take a pair of scissors and cut holes into the Lens Coat right where the AF-Buttons are placed. This won’t reduce protection and provides the needed feeling in your fingertips. thanks for the remarks. I have the coat so far only in my 600. Since To be honest I had the impression that cuts into the lens coat – especially if they are on the edge – will weaken the strength / durability of the coat. Do you have made ​​contrary experiences? Would be helpful to read your comments……..